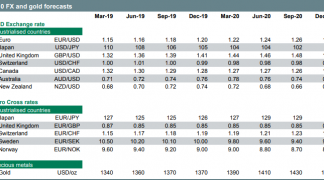 The euro is likely to stay ahead of the FX pack in the short-term as a variety of factors play in its favour, according to research by French lender BNP Paribas. 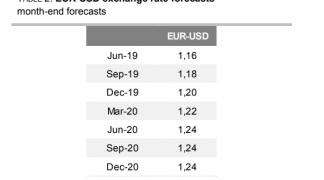 EUR/USD will probably rise from its current level, according to Paribas Strategists Serebriakov, Sneyd and Lynton-Brown, as the Federal Reserve is now less likely to increase US interest rates in 2016. Both a cautious speech from Chairman of the Fed Janet Yellen, and the minutes of the March Fed policy meeting indicate the Fed are now more reluctant to raise interest rates. Because higher interest rates tend to strengthen a currency by making it more attractive to foreign investors seeking a higher return, the Fed’s inaction will limit upside potential for the dollar. The euro, meanwhile, is not likely to weaken due to European Central Bank (ECB) policy manoeuvring, as Paribas see any further material increase in stimulus as improbable, beyond an extension of the end of the ECB’s monthly quantitative easing (QE) programme. QE is a means by which central banks try to stimulate the economy, by printing money to buy assets from banks, who then have more disposable cash with which to lend to businesses and households. It tends to weaken a currency as it increases currency supply. “In light of comments on policy rates, we no longer expect further cuts to the deposit rate. We think the next probable step will be for the reference date for the asset purchase programme (QE) to be extended beyond March 2017, most likely announced at the September meeting.” Says the Paribas note. This is not unusual according to Paribas but it does infer that any deeper weakening for the pair is unlikely. The euro-zone Current Account (CA) surplus is a further factor supporting a stronger euro. 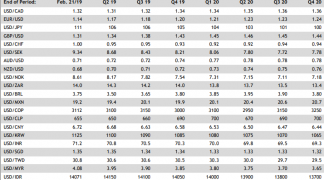 The Current Account surplus indicates that more foreign money is coming into the Eurozone than is going out, which is obviously beneficial to the euro as it indicates overall, on balance relatively more demand for euros. The Eurozone CA has shown a surplus since the beginning of 2014. 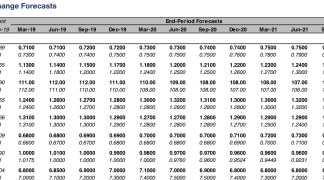 The report concludes that Paribas’s base case scenario is for the EUR/USD to rise to 1.16 mid-year based on this combination of factors. Longer-term, however, they are bearish the pair, forecasting it to fall to 1.05 by the end of 2017, as a result of the Federal Reserve starting to increase interest rates in 2017 and the ECB probably keeping interest rates comparatively low. Taking the opposite view to BNP Paribas is investment bank Standard Chartered, who think that the Federal Reserve will increase interest rates at least once in 2016, and this should support the dollar. Further they see the ECB continuing to maintain its ‘easing stance’ during the rest of 2016, limiting euro gains. By this they mean the ECB will continue printing money for the economy which will keep the euro under pressure.